We Are Treating You To The Most Flavorsome Wine Glass! Are you tired of waiting hours until your wine taste reaches its full potential? 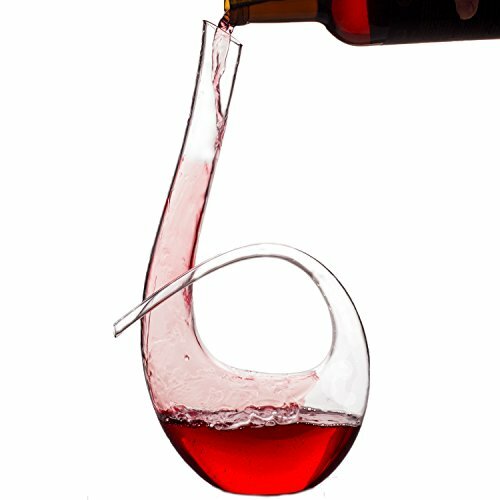 Are you sick of poorly crafted plastic decanters that deprive your wine sipping of STYLE, QUALITY & LUXURY? Are you looking for a special gift for your best friend's upcoming birthday or the neighbours' housewarming party? If so, you should definitely read on! Because we are now taking your wine drinking to a whole new level, with a deluxe BRASS INSTRUMENT shaped wine decanter! Get The Ultimate Drinking Experience! We know that with so many wine decanters available on the market, your choice is hard. This is why we are offering you an UNMATCHED QUALITY & DESIGN wine carafe that stands out among similar products flooding the market! Offer this deluxe crystal wine decanter as the ultimate birthday or housewarming gift to every wine enthusiast and make them remember you forever! Show off your taste and enjoy their ear-to-ear smile! Peerless Quality, Unique Design & Easiest Pouring! Well, rest assured that your shopping experience is made absolutely RISK-FREE, as your new decanter is backed by reliable Zalik Refund Policy! If you are not positively thrilled, we will return your money in full! Order Yours For The Perfect Wine Glass! SUPERIOR WINE SIPPING EXPERIENCE: Upgrade the taste of your favorite wine by letting it breathe and enjoy its DIVINE AROMA! Get the absolute wine drinking experience with Zalik 100% crystal wine decanter in the SLEEK, STYLISH brass instrument shape! UNRIVALED CRYSTAL QUALITY: No more poorly crafted plastic decanters for your relaxing wine glass! HAND MADE from 100% LEAD-FREE crystal, this liquor decanter will add a touch of luxury to your daily or special wine sipping! EASY, EFFICIENT POURING: Pour the most aromatic glass from the ultimate crystal wine carafe! With the THIN NECK and the SLANTED SPOUT this high-end decanter will pour its content IN A BREEZE, saving you the mess of SPILLAGE or DRIPPING on your tablecloth! STUNNING BRASS INSTRUMENT DESIGN: Make your guests' heads turn to the unique SLEEK, CURVY design of a deluxe decanter! EYE-CATCHING and ELEGANT, it will upgrade your table decor! more than 2 standard (750 ml) bottles. PERFECT WINE TASTE OR YOUR MONEY BACK! At Zalik we take great pride in the quality of our crystal wine decanter and we are confident you will LOVE it! This is why we are backing it with Money Back Guarantee! Please email admin@zalikusa.com with any questions you may have and we will do our best to resolve your concerns immediately.